Sunshine and a few clouds with gusty winds developing during the afternoon. A stray shower or thunderstorm is possible. High 78F. Winds SE at 20 to 30 mph.. Scattered thunderstorms in the evening, then cloudy and windy overnight. Low around 45F. SSE winds shifting to W at 20 to 30 mph. Chance of rain 40%. Higher wind gusts possible. Pictured left to right are first year ADN state officers: Emma Young, Amanda Mays and Mara Strecker, all of North Platte. 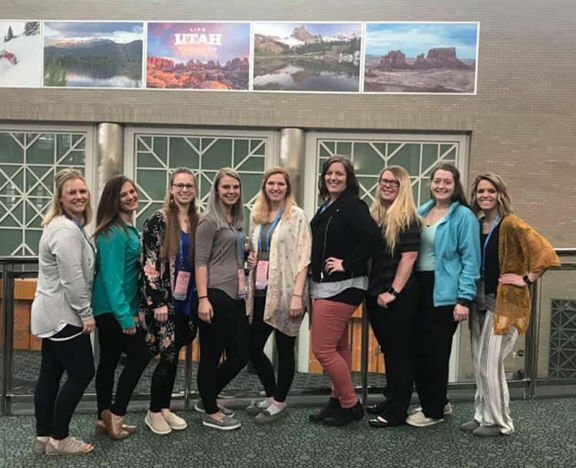 Nursing students from Mid-Plains Community College were in Salt Lake City, Utah, from April 3 through April 7 for the the National Student Nurses’ Association 67th Annual Convention. The convention attracted thousands of nursing students, faculty and leaders from across the country. It featured speakers, an exhibit hall, focus sessions, an awards ceremony, a live auction and gave students networking opportunities.